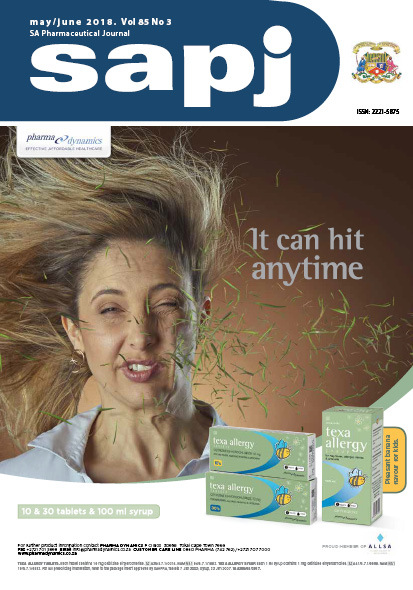 SA Pharmaceutical Journal (SAPJ) official mouthpiece of the Pharmaceutical Society of South Africa (PSSA). SAPJ is aimed at the continuing professional development of the South African pharmacist as a clinical pharmaceutical care practitioner in a community or hospital pharmacy environment or in a regulatory position in the pharmaceutical industry. 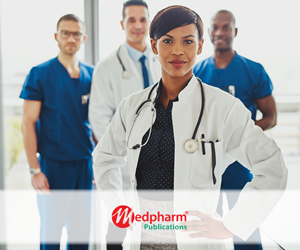 The journal provides specific clinical reviews on self-medication topics (symptomatic therapy), information on prescription medication (therapy in clinical context) and provides the pharmacists with essential information for referring customers for early medical attention should it be required. Pharmacovigilance – ensuring the safe and appropriate administration and use of medication and reporting of serious adverse events or other adverse drug reactions – is strongly advocated in SAPJ. The SAPJ further supports pharmacists to transform the pharmacy in an accessible, basic primary health care facility for preventing and treating PHC conditions through diagnosis, screening and treatment.